Jet Rescue International Air Ambulance specializes in offering emergency air care services globally. These services are useful in dealing with emergency cases where patients need urgent medical care which is not within their vicinity. Jet Rescue International air ambulance repatriation can be trusted for medical air transportation globally. Their staff includes professional medics and crew members who have extensive experience in the field of emergency medical care hence, making it easy for clients to choose the best flights, medical services and value. Under a short notice, the Jet Rescue international air ambulances can effect safe and competent repatriation across the globe through the use of private jets or scheduled airlines. Its services include providing medical escorts, facilitating admission to hospitals and ensuring that there is proper medical referral, medical clearance, and transfers from airports. Using Jet Rescue International Air Ambulance repatriation services in emergency times has added advantages. The airlift medical transportation services offered guarantee that the patient gets to hospital through the safest and fast means possible hence, rescuing lives in time. 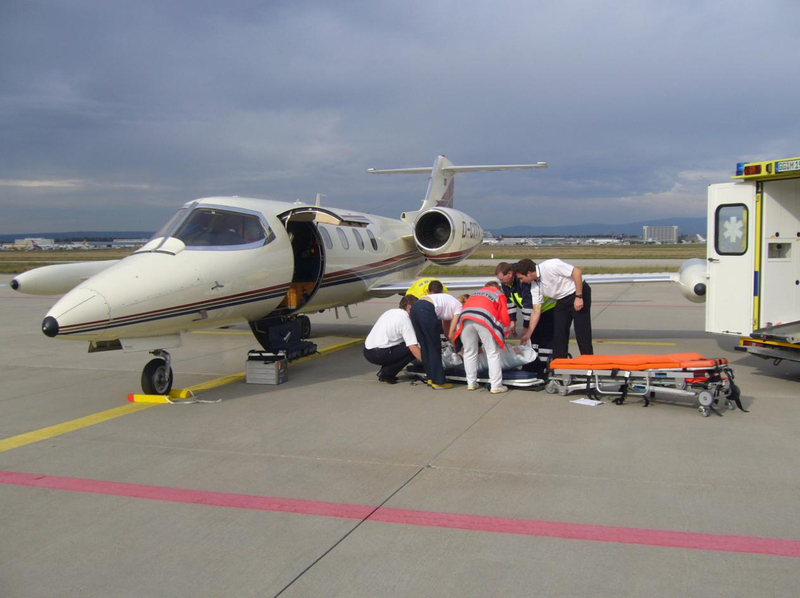 International Air Ambulances also offer In-Flight Intensive Care. Their emergency rooms in flights have many comparable treatments and Intensive Care Units. Their doctors, paramedics and nurses are able to provide a wide range of medical care such as defibrillation and ventilation which help keep patients in a stable condition while traveling. Most air ambulances have staff members who are specialists such as critical care physicians and flight surgeons. Depending on the landing conditions, various aircraft such as helicopters and turbo prop planes are present to facilitate easy patient transfer and emergency medical attention. Jet Rescue International Air Ambulance repatriation services can be called upon in times of emergency, accidents or occurrence of a life threatening illness. Jet Rescue International Air Ambulance paramedics and nurses can be dispatched to remote areas around the globe. With the aging population, the risk of diseases such as strokes and heart attacks is increasing, and these situations call for emergency medical attention. If prompt medical attention and fast transfer to hospital are facilitated, other long term health effects that can ensue as a result of these attacks can be curbed well in advance. Jet Rescue International air ambulances are often useful to the youths in circumstances of accidents ensuing from sports such as surfing and skiing. Also in circumstances where natural calamities such as Tsunamis have occurred, international air ambulance repatriation become proficient moving critical patients out of the affected region. Medical insurance coverage for international air ambulance also helps tourists whenever they fall sick in a foreign country. International air ambulance repatriation enables them receive accurate medical treatment from their home countries. Jet Rescue International air ambulance stands out as the safest and quick way of offering medical care to loved ones whenever they are sick. Overtime, public awareness about emergency medical care services have improved, and the crucial role that international air ambulances play in saving lives is appreciated globally. Whenever there is an emergency, impassable roads or lack of qualified medical professionals cannot be taken in as a scapegoat to denying the patients, adequate medical care. This entry was posted on December 15, 2011 at 10:23 am and is filed under Air Ambulance, Air ambulance Acapulco, Air Ambulance Asia, Air ambulance Cancun, Air Ambulance Honk Kong, Air Ambulance in Mexico, Air ambulance Los Cabos, Air Ambulance Monterrey, Air Ambulance Shanghai, Air Ambulance South America, Cabo San Lucas, Cabo San Lucas Air Ambulance, Costa Rica Air Ambulance, Emergency flights Mexico, Latin American air ambulance, Medical air transport Asia, Medical air transport from Asia to the USA, Medical evacuation Asia, Medical evacuation LAtin America, Medical evacuation South America, Neonatal air transport, Uncategorized, Worldwide Air Ambulance service. You can subscribe via RSS 2.0 feed to this post's comments. You can comment below, or link to this permanent URL from your own site.